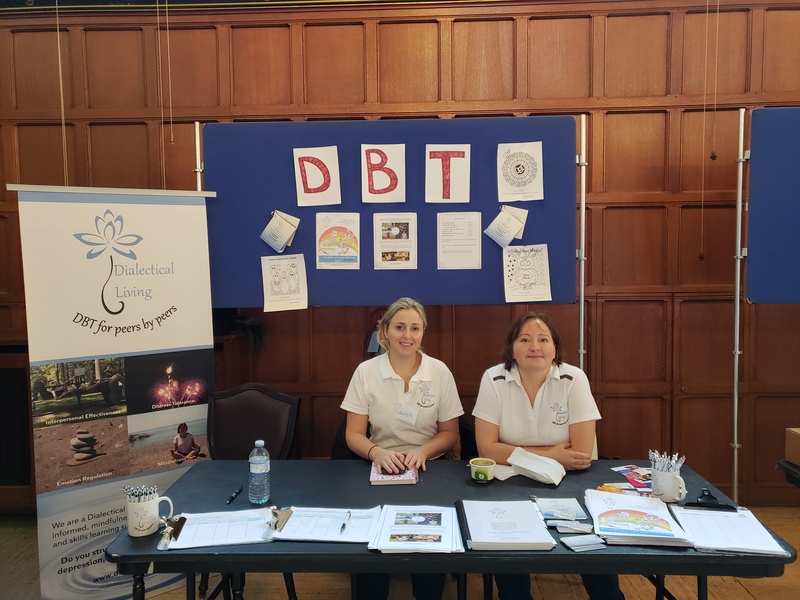 Dialectical Behaviour Therapy (“DBT”) combines cognitive and behavioural therapy, incorporating methodologies from various practices including Eastern mindfulness techniques. It was developed by Dr. Marsha Linehan originally for the treatment of Borderline Personality Disorder (BPD) – a.k.a. Emotion Regulation Disorder (ERD) . It is becoming more and more widely used for other conditions including; anxiety, depression and addiction evidenced by many academic studies. DBT includes four categories of skills including; mindfulness, distress tolerance, emotion regulation and interpersonal effectiveness. Mindfulness teaches us how to be present and in the moment and how to have a non-judgmental stance. Distress tolerance skills help with accepting reality and ease the intensity of the moment. 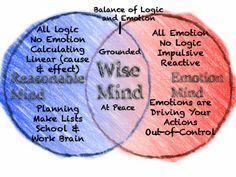 Emotion Regulation skills teach how to practice self care and to be in “wise mind”. Interpersonal effectiveness skills help by using structured statements to meet needs and keep relationships healthy. For people who suffer with emotion regulation disorder and other mental health conditions DBT can provide a freedom from the intensity of emotions that can overtake the ability to function on a daily basis. DBT can reduce the incidences of emotion dysregulation, impulsivity, interpersonal problems, anxiety, depression, self harm and suicidal behaviours. DBT can make life worth living again. For families/friends of persons with ERD/BPD learning the skills can greatly help yourself and your loved one. Through understanding the condition and skills learning families/friends will become much better equipped to manage the day to day struggles, increase compassion, reduce resentment, be more skillful in handling challenging situations through validation and leading by example. We offer DBT courses in two formats. We offer skills groups for persons with ERD/BPD and we offer skills groups for families/friends of persons with ERD/BPD. The exact same content is taught in both groups. It is important to note that in order to see a DBT therapist and do individual one on one session with a DBT therapist once must know the skills and the group is the best way to gain these skills. On the rare occasion we will do “DBT Coaching” which is teaching the DBT skills in a one on one format. This is done only when social anxiety prevents a client from attending a group setting. We have also seen clients for a few sessions to help them overcome some of the social anxiety so that they may come out to the group. There is an opening and a closing mindfulness each week each about 5 to 10 minutes. For the first part of the class we do a take up of the home practice from the previous week (there is home practice to do each week therefore be committed to practice using the learned skills each week – confidence and learning while you are attending group so that you can get valuable feedback and knowledge from others is very beneficial. The second part of the group is spent learning a new skill. 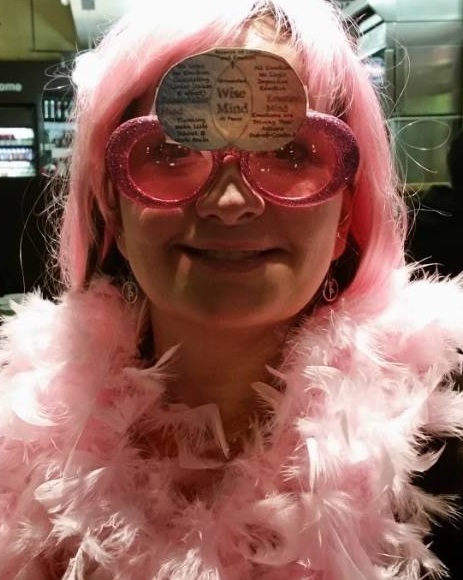 At Dialectical Living we pride ourselves on making learning DBT fun and interactive. We use power point presentations, small group discussions, break out groups for home practice take up, videos, readings and activities/games.